OPERATING ‘STONEHENGE TOURS’ SINCE 1990 – THE ORIGINAL AND STILL THE BEST! We are an established QUALITY tour company specialising in daily SMALL GROUP guided tours of Stonehenge Stone Circle and Ancient Britain . We offer a highly PERSONALISED and PROFESSIONAL service ideal for individuals, families and groups (a maximum of just 16 persons – the PERFECT size!) For your comfort and safety we use new LUXURY Mercedes Mini-Coaches . Tours depart daily from central London and operate all year round. In addition to our scheduled tours we are proud to offer alternative tours provided by our preferred travel partners. Please take the time to explore our website. 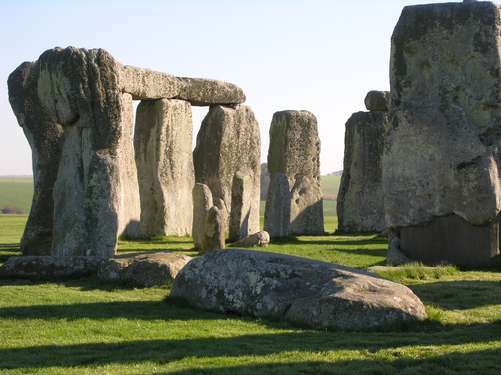 We operate daily tours, departing from London which include Stonehenge and explore the surrounding area – rich in History, Myths, Legends and Mysteries. We also offer a unique opportunity to go beyond the Stonehenge fences and touch the stones. Which ever tour you choose we promise a truly memorable experience. Other Highlights Include: Salisbury Cathedral / Avebury Stone Circle / Old Sarum Castle / Glastonbury Abbey and Tor / King Arthur’s Avalon / Georgian City of Bath / The Cotswolds and much more…. >http://rcm.amazon.com/e/cm?t=stonehengetours-21&o=1&p=8&l=bpl&asins=075154518X&fc1=000000&IS2=1&lt1=_blank&m=amazon&lc1=0000FF&bc1=000000&bg1=FFFFFF&f=ifrThere’s them as might argue the real Stonehenge legacy is the chronic traffic jams on the A303 in summer as thousands flock to Wiltshire to marvel at the mysterious and ancient stone monument. It wouldn’t pay to be that flippant around the fanatical Henge Master, his Inner Circle and their cowelled cohorts, however. They’re a secret society dedicated to unlocking the site’s mystical secrets and are not averse to a bit of human sacrifice to aid their cause as the summer solstice approaches. Archaeologist Gideon Chase is drawn to the area by his father’s suicide and is soon caught up in investigations by the local police. Progress is slow, however, and not helped when the glamorous daughter of the American Vice-President is kidnapped on a visit to see the stones. So, you’ve seen all the London sights. You’ve been to the Tower of London, done Madame Tussauds and bought the t-shirt at the London Eye. What next? Many visitors to London make the mistake of thinking that all of the UK’s finest attractions are to be found within the capital. It’s simply not the case, and in fact London makes the perfect base for tours to Stonehenge and Bath: two of the UK’s oldest settlements. You’ll never forget your first glimpse of spectacular Stonehenge, its monumental rocks rising up magnificently against the Salisbury Hill skyline. Theories about this mysterious rock formation abound. Was it an astronomical clock? A Bronze Age burial ground? A religious temple? Make up your own mind as you explore the unique landmark that has had the world scratching its head for 5,000 years. Standing proudly on the slopes of the River Avon 100 miles west of London, beautiful Bath was the first city in England to be designated a UNESCO World Heritage Site, and it’s not difficult to see why. Bath boasts an enviable collection of famous monuments including gothic glory of Bath Abbey and romantic Pulteney Bridge, modelled on Florence’s Ponte Vecchio. In AD 43 the Romans established Bath as a spa resort, erecting a temple and baths around the UK’s only naturally occurring hot springs. Large segments of the original Roman Baths still remain, including the Roman Temple, the Roman Bath House, the Sacred Spring and the Museum. Together with the Grand Pump Room, the baths attract well over a million visitors every year. Golden Tours, London’s leading sightseeing company, offers a full range of tours to let you experience the magic of Bath and Stonehenge for yourself. Here are a few suggestions for bus tours to Bath and Stonehenge Tours that you’ll never forget. Stonehenge tours from London don’t get much better than our ‘Private Viewing of Stonehenge’ tour. On this http://rcm.amazon.com/e/cm?t=stonehengetours-21&o=1&p=8&l=bpl&asins=B0040CVOFO&fc1=000000&IS2=1&lt1=_blank&m=amazon&lc1=0000FF&bc1=000000&bg1=FFFFFF&f=ifrfull day coach trip, you’ll discover the secrets of Stonehenge with exclusive access to the ancient stone circle! Get up close to this mysterious landmark before continuing your journey of discovery with a whistle-stop Bath tour that includes elegant Bath Abbey, and, of course, the Roman Baths. Add a morning tour of the dramatic Tower of London to make your historic experience even more special! Pressed for time? Try our ‘Simply Stonehenge’ tours with your choice of morning or afternoon excursions to the magnificent pre-historic monoliths. Or pick the ‘Stonehenge and Bath’ tour to enjoy both of these unique landmarks as well as a delicious lunch in a traditional Stonehenge pub! The Magna Carta, mysterious Stonehenge and the Roman Baths are just a few of the highlights you can expect on our ‘Bath, Stonehenge and Salisbury’ tour from London. Marvel at the soaring spire of Salisbury Cathedral and view the historic Magna Carta document in the Chapter House. Our ‘Windsor, Bath and Stonehenge’ adds a visit to stunning Windsor Castle to your Stonehenge experience and bus tour to Bath. Our tours to Stonehenge and Bath make getting to these world-famous landmarks from London as easy as hopping on our luxury coach. Choose Golden Tours for great-value Bath and Stonehenge tours you’ll never forget. 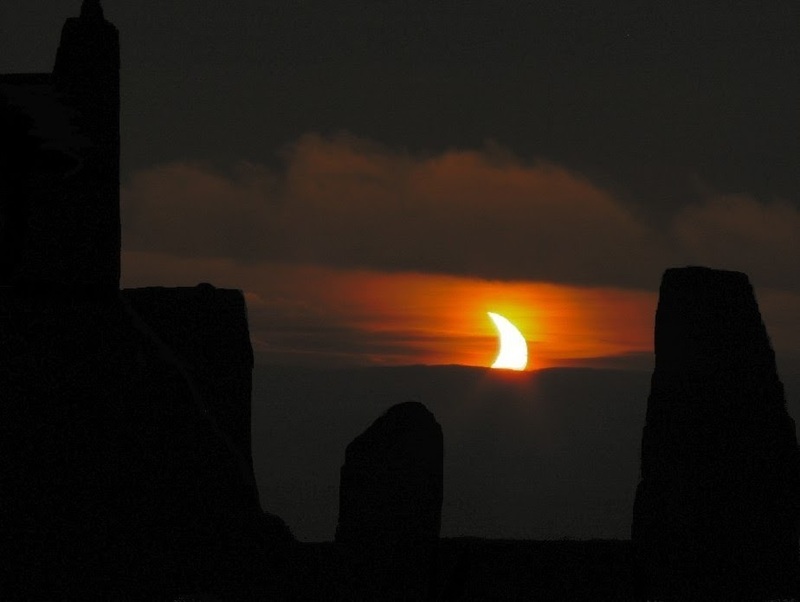 >A fantastic photograph taken of the recent solar eclipse at Stonehenge. Next one March 2015, see you there………………..